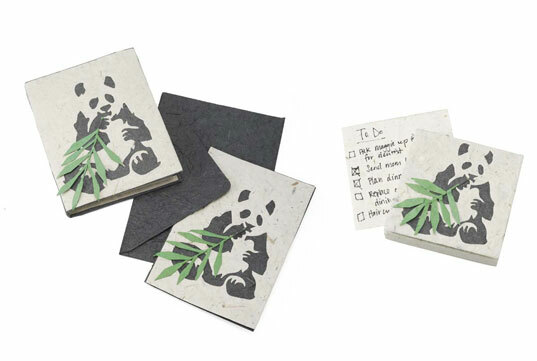 Panda Paper Set is Made From Poo! Sending someone poo is typically not seen as a good thing, but here’s one exception. This lovely, earth-friendly paper set is perfect for letter writing despite being made from real excrement collected from Giant Pandas in China. Each paper or envelope is 100% recycled, odorless and provides you with a catchy punchline to start your letter. Sending someone poo is typically not seen as a good thing, but here's one exception. This lovely, earth-friendly paper set is perfect for letter writing despite being made from real excrement collected from Giant Pandas in China. Each paper or envelope is 100% recycled, odorless and provides you with a catchy punchline to start your letter.